The Digital Fly-By-Wire (DFBW) concept uses an electronic flight-control system coupled with a digital computer to replace conventional mechanical flight controls. 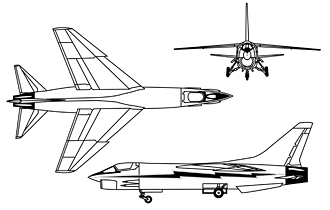 The first test of a DFBW system in an aircraft was in l972 on a modified F-8 Crusader at the Flight Research Center, Edwards, Calif. (now Dryden Flight Research Center). It was the forerunner of the fly-by-wire flight control systems now used on the space shuttles and on today’s military and civil aircraft to make them safer, more maneuverable and more efficient. It was safer because of its redundancies and because, for military aircraft, wires were less vulnerable to battle damage than the hydraulic lines they replaced. It was more maneuverable because computers could command more frequent adjustments than a human pilot and designers could do away with features that made the plane more stable and thus harder to maneuver. For airliners, computerized flight control could also ensure a smoother ride than a human pilot alone could provide. Finally, digital fly-by-wire was more efficient because it was lighter and took up less volume than hydraulic controls and thus either reduced the fuel required to fly with the extra weight and/or permitted carrying more passengers or cargo. It also required less maintenance than older systems. 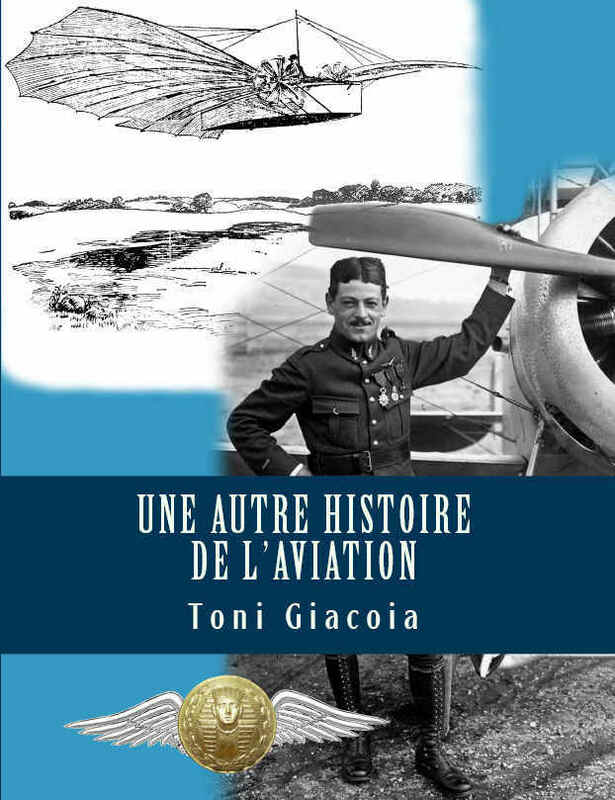 In the first few decades of flight, pilots controlled aircraft through direct force – moving control sticks and rudder pedals linked to cables and pushrods that pivoted control surfaces on the wings and tails. As engine power and speeds increased, more force was needed and hydraulically boosted controls emerged. Soon, all high performance and large aircraft had hydraulic-mechanical flight-control systems. These conventional flight-control systems restricted designers in the configuration and design of aircraft because of the need for flight stability. As the electronic era evolved in the 1960s, so did the idea of aircraft with electronic flight-control systems. Wires replacing cables and pushrods would give designers greater flexibility in configuration and in the size and placement of components such as tail surfaces and wings. A fly-by-wire system also would be smaller, more reliable, and in military aircraft, much less vulnerable to battle damage. A fly-by-wire aircraft would also be much more responsive to pilot control inputs. The result would be more efficient, safer aircraft with improved performance and design. By the late 1960s, engineers at Dryden began discussing how to modify an aircraft and create a digital fly-by-wire testbed. Wires from the control stick in the cockpit to the control surfaces on the wings and tail surfaces replaced the entire mechanical flight-control system in the F-8. 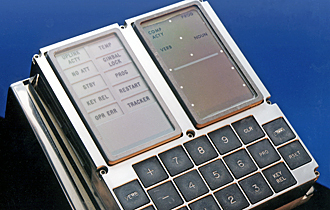 The heart of the system was an off-the-shelf backup Apollo digital flight-control computer and inertial sensing unit which transmitted pilot inputs to the actuators on the control surfaces. On May 25, 1972, the highly modified F-8 became the first aircraft to fly completely dependent upon an electronic flight-control system. The pilot was Gary Krier. The first phase of the DFBW program validated the fly-by-wire concept and quickly showed that a refined system – especially in large aircraft – would greatly enhance flying qualities by sensing motion changes and applying pilot inputs instantaneously. The Phase 1 system had a backup fly-by-wire system in the event of a failure in the Apollo computer unit, but it was never necessary to use the system in flight. In a joint program carried out with the Langley Research Center in the second phase of research, the original Apollo system was replaced with a triple redundant digital system. It would provide backup computer capabilities if a failure occurred. The DFBW program lasted 13 years. 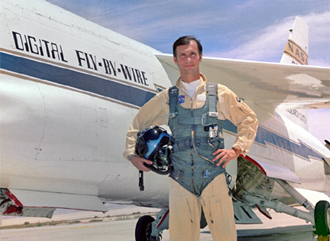 The final flight – the 210th of the program – was made April 2, 1985, with Dryden Research Pilot Ed Schneider at the controls. The F-8 DFBW validated the principal concepts of the all-electric flight control systems now used on nearly all modern high performance aircraft and on military and civilian transports. A DFBW flight-control system also is used on the space shuttles. NASA 802 was the testbed for the sidestick-controller used in the F-16 fighter, the first U.S. high-performance aircraft with a DFBW system. Among other electronic devices flown on the DFBW F-8 were an angle-of-attack limiter and maneuver leading- and trailing-edge flaps, features commonly used on today’s new generation of aircraft. In addition to pioneering the Space Shuttle’s fly-by-wire flight-control system, NASA 802 was the testbed that explored pilot induced oscillations (PIO) and validated methods to suppress them. PIOs occur when a pilot over-controls an aircraft and a sustained oscillation results. On the last of five free flights of the prototype Space Shuttle Enterprise during approach and landing tests in 1977, a PIO developed as the vehicle settled onto the runway. The problem was duplicated with the F-8 DFBW and a PIO suppression filter was developed and tested on the aircraft for the Shuttle program office. The aircraft was used to develop a concept called Analytic Redundancy Management, in which dynamic and kinematic relations between various dissimilar sensors and measurements are used to detect and isolate sensor failures. In another series of successful tests, a software back-up system (Resident Backup System) was demonstrated as a means to survive common software faults that could cause all three channels to fail. This system has been subsequently used on many experimental and production aircraft systems. The Dryden project also worked with the British Royal Aircraft Establishment using the DFBW F-8 to produce ground-based software to use when researchers are investigating flight controls in high-risk flight environments. During contingencies, pilots can disengage the ground control software and switch to backup on-board controls. DFBW research carried out with NASA 802 at Dryden is now considered one of the most significant and successful aeronautical programs in NASA history. Digital fly-by-wire is now used in a variety of airplanes ranging from the F/A-18 to the Boeing 777 and the space shuttles. The F-8 aircraft was originally built by LTV Aerospace, Dallas, Texas, for the U.S. Navy, which made it available to Dryden as a test vehicle. 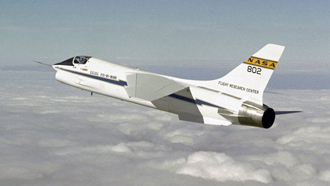 Flown as the DFBW testbed by NASA from 1972 to 1985. Fleet F-8s were the first carried based planes with speeds in excess of 1,000 mph. LTV won the Collier Trophy for its design and development. Total production was 1,261.